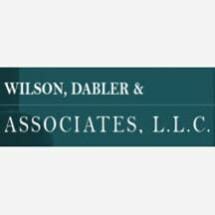 Wilson, Dabler & Associates, L.L.C. of Belleville, Illinois, represent clients in family law matters, spanning the spectrum of divorce, custody, support and estate revision issues. Our law firm practices exclusively family law. From beginning to end, we can assist in every detail of your divorce. we strive to assure the client is afforded all his/her rights, including issues that are sometimes overlooked or felt to be unimportant by other advocates. We follow up typical divorce proceedings with a review of your estate and retirement plans, helping to make all necessary revisions to reflect the new changes in your life. Our law firm believes firmly in the mediation process. We hope to help you reach an agreement with your former spouse that brings closure and allows both of you and your children to move on to healthy futures. If mediation is impossible, we provide staunch litigation representation to defend your rights and the rights of your children. After years of practicing family law, our law firm fully recognizes the impact that your case is having on your family. We make every effort to remain accessible; we are committed to returning your calls and answering your questions as soon as possible. We will keep you fully informed on your case.